Fall is here, and with it, a new edition of another fun blogger link up- #PumpkinWeek. I may not be the world’s biggest fan of pumpkin spice everything, but I am a huge fan of pumpkin flavor in general. I can promise you pumpkin everything this week, a delicious combination of savory and sweet treats. Make sure to check for the list of links at the bottom of the post to see what everybody’s bringing to the collective table this week. 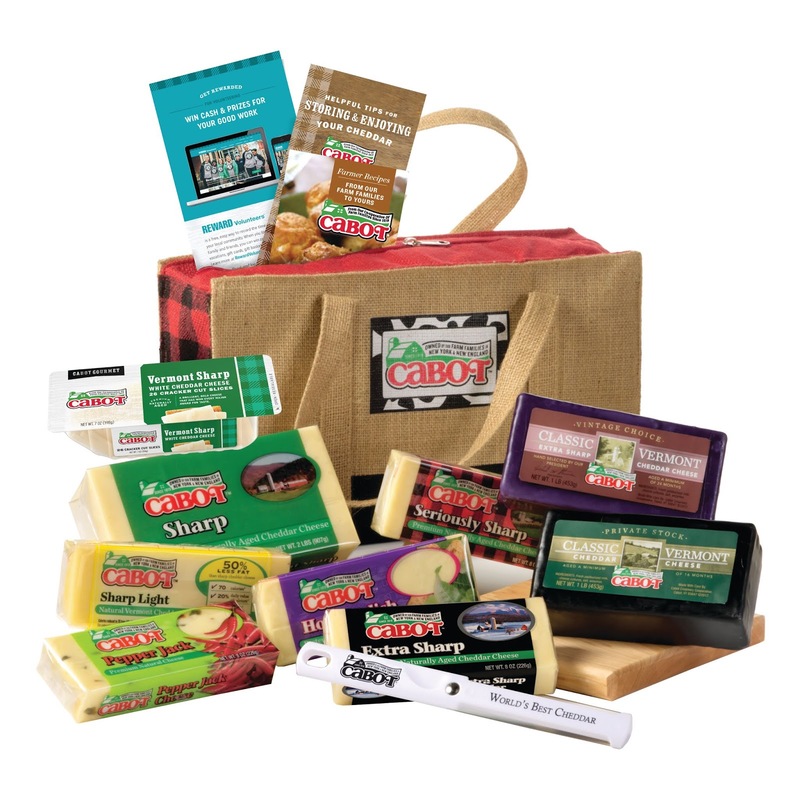 Also, don’t forget to enter the giveaway for your chance to win a very generous prize package from our three sponsors! 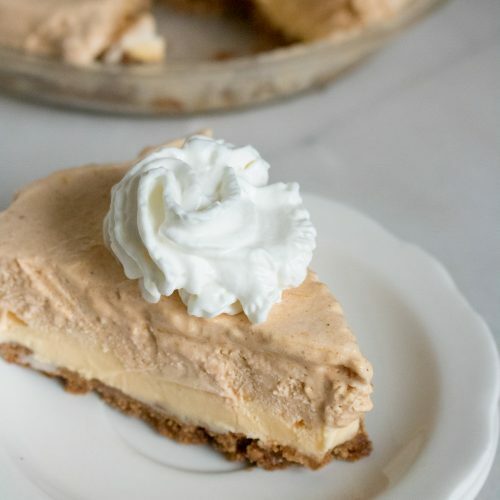 In my experience, everyone tends to associate pumpkin with two things, pie and dessert. It’s not nearly as common in savory dishes, and it’s rare to find it in a cold treat- other than the infamous pumpkin pie lattes that are already all over my social medias’ news feeds. Just because Fall is here, it doesn’t mean I’ve forgotten about my cool Summer treats. Like ice cream. And in my neck of the woods, it’s usually still warm enough to warrant and enjoy a dessert like that. In true to me, and you, fashion- I decided to combine the two into an epic dessert. One for the ages. One your Grandma, and your Grandkids, would all approve of. It’s that good. A cool treat on a warm Fall day, that merges seasonal favorites everyone adores. 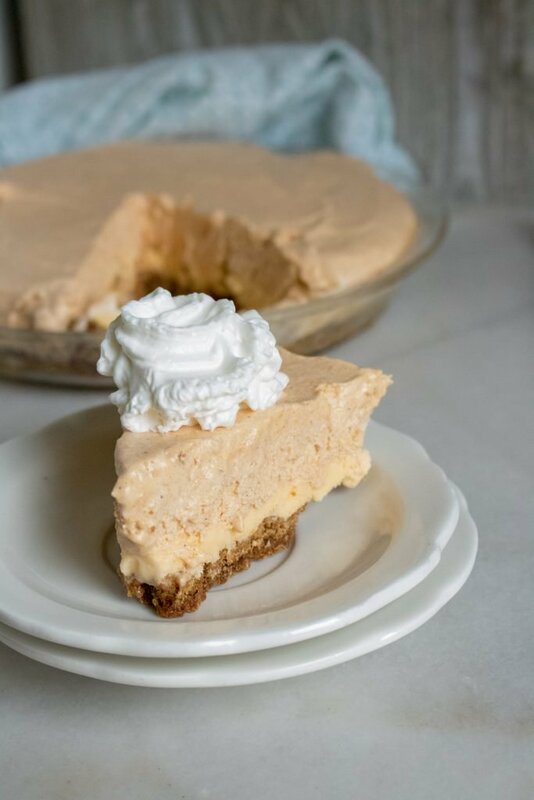 Traditionally pumpkin pie is made of a blend of pureed pumpkin, milk or cream, eggs and seasonings such as cinnamon, ground ginger, and ground cloves. 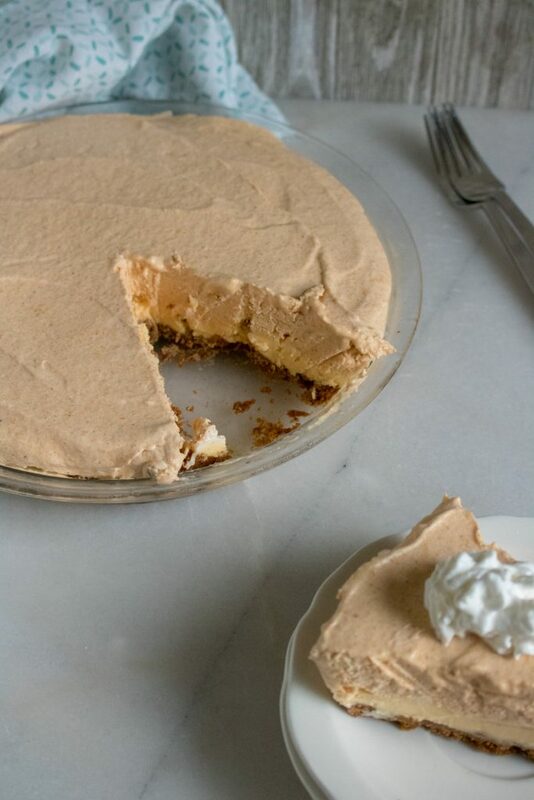 This batter’s poured into a prepared pie crust, baked, and sliced. Served with a generous dollop of whipped cream, it’s a real classic. Who didn’t grow up being served a slice in the Fall? Especially when holidays like Thanksgiving and Christmas rolled around?? As I like to do (any of you who’ve been around the site a time or two know), I like to change things up, give em a good shake, a stir, and come out with a new twist on an old favorite. 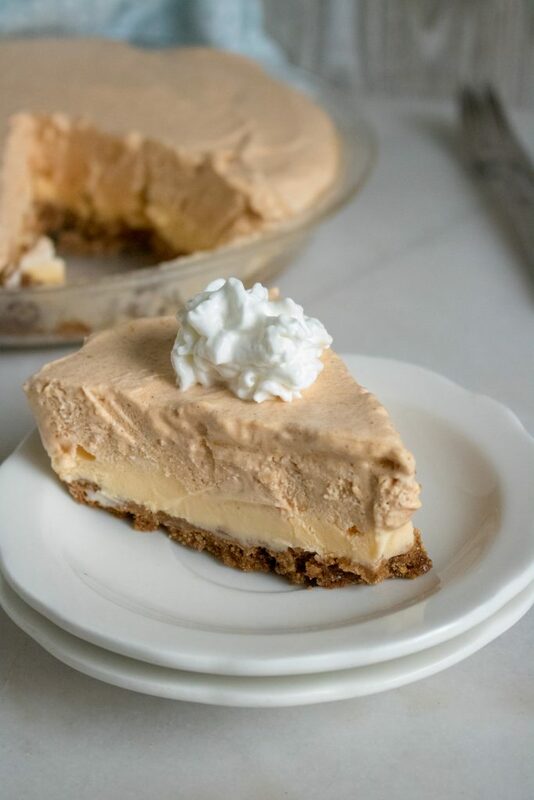 Thus I traded in the family favorite, and created a whole new one with this Pumpkin Ice Cream Pie. 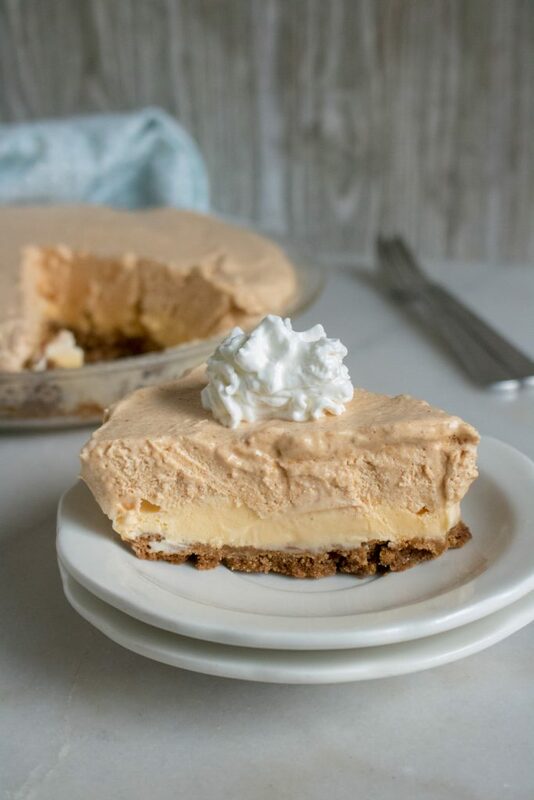 A cool, creamy treat- this dessert has a sweet ginger snap crust that’s topped with two layers- a smooth layer of your favorite vanilla ice cream, and then a pumpkin pie flavored whip sweetened with Dixie Crystal’s premium granulated sugar. It’s frozen until set/solid, sliced, and served with a delicious dollop of whipped cream. 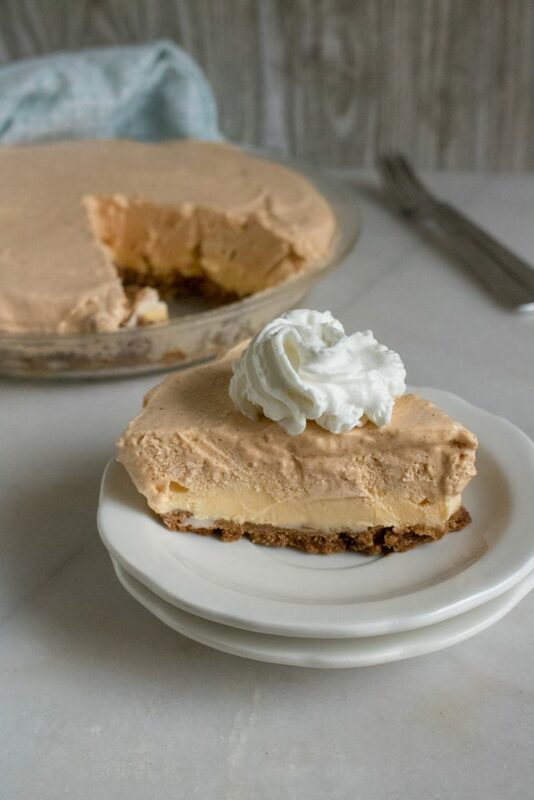 This Pumpkin Ice Cream Pie is the tastiest way to bridge the seasons, and flavors, of Summer and Fall. Everything you love doesn’t have to abruptly end, instead they can blend together in the best of ways- all in your favorite pie pan. Don’t forget to scroll past the recipe to see what goodies everyone else has brought to the #PumpkinWeek table, and to enter the great giveaway our sponsors are generously hosting! 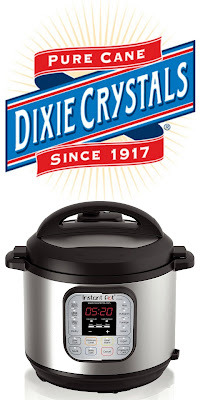 Dixie Crystal’s granulated sugar was used in this recipe, and I highly recommend it. It’s a long standing, Southern favorite- for a very good reason! Add the ginger snaps and 1 tablespoon of sugar to a mixing bowl. Stir together until evenly incorporated. Stir the melted butter into the mixture, and then press it out evenly into the bottom of 9" pie pan. Bake ar 300 degrees for 15 minutes. Set aside, and cool completely. Add the pumpkin puree, sugar, salt, ginger, cinnamon, & nutmeg- stirring until evenly combined. Fold in the whipped topping. 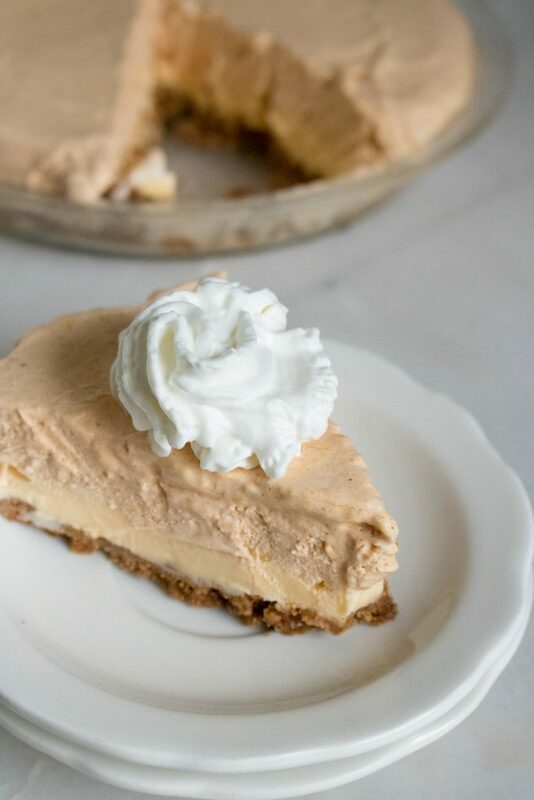 Spread the ice cream in an even layer overtop of the pie crust. Pour the pumpkin mixture out onto the ice cream, and spread out evenly. Freeze for at least 2 hours before serving. Garnish with whipped cream and crushed gingersnaps, if desired. Perfect recipe for transitioning from Summer to Fall. My kids would actually EAT this kind of pumpkin pie- love this! This looks divine! I want a slice! Thanks for sharing at Fiesta Friday party!